When dust, dirt or other debris becomes trapped in a USB Type-C cable connector, it creates a resistive fault from the power line to ground, which can cause a dangerous temperature rise without increasing the current. The power-independent setP senses the temperature increase, alerting the charging port to shut down the power flow. Once the user disconnects the cable and removes the debris, the cable can resume normal operation. 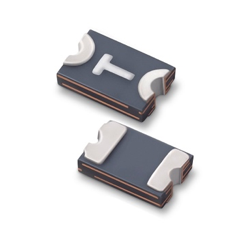 The compact 0805 (mils) footprint of the setP Temperature Indicator makes it at least 50 percent smaller than other solutions that require placing a device on the power line. Placing a protective device on the power line also contributes to power loss. The same setP device can be used to protect cables designed for 15W, 60W or 100W operation.